You Get Thirsty and Drink. How Does Your Brain Signal You’ve Had Enough? 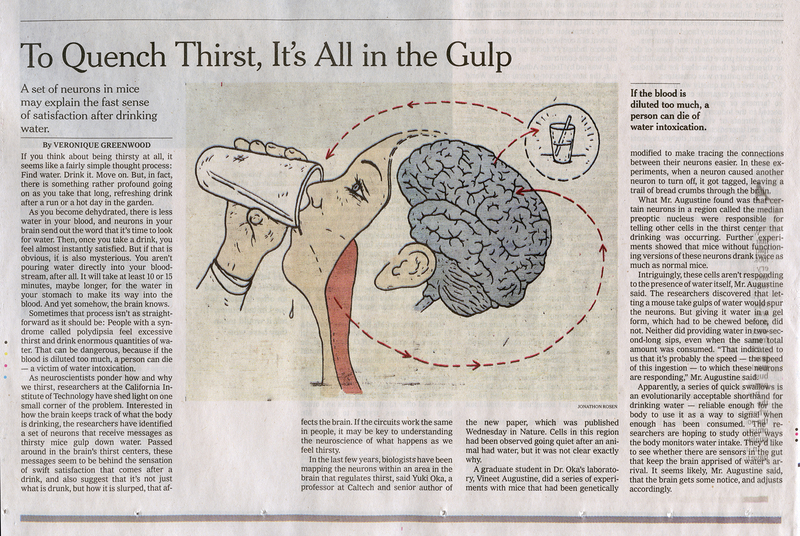 As neuroscientists ponder how and why we thirst, a group of researchers at the California Institute of Technology has shed light on one small corner of the problem. Interested in how the brain keeps track of what the body is drinking, they have identified a set of neurons that receive messages as thirsty mice gulp down water. 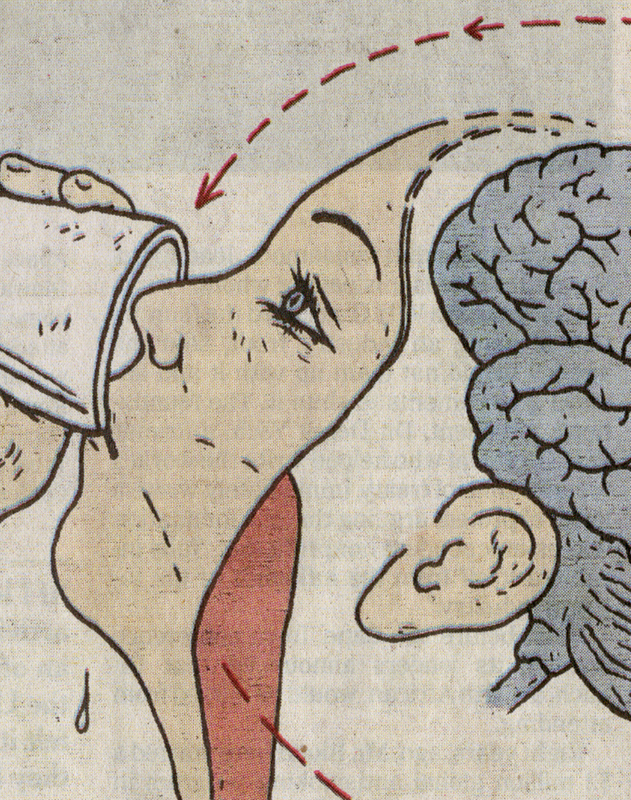 Passed around in the brain’s thirst centers, these messages seem to be behind the sensation of swift satisfaction that comes after a drink, and also suggest that it’s not just what is drunk, but how it is slurped down, that affects the brain. 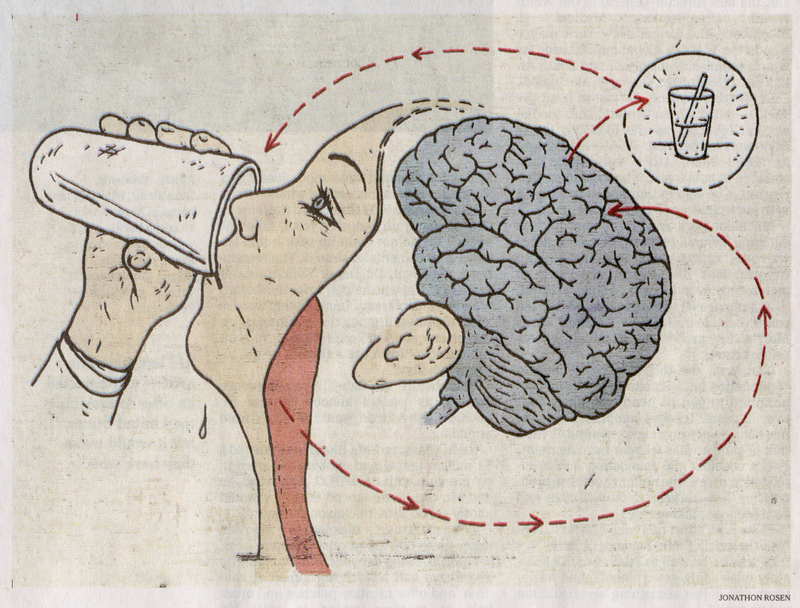 If the circuits work the same way in people, it may be key to understanding the neuroscience of what happens as we feel thirsty. 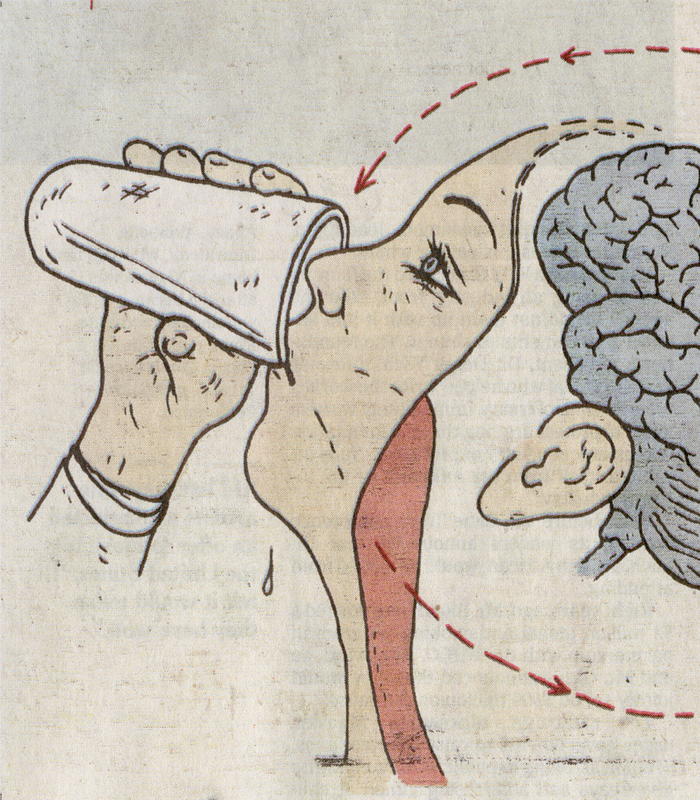 In the last few years, biologists have been mapping the neurons within an area in the brain that regulates thirst, said Yuki Oka, a professor at Caltech and senior author of the new paper, which was published Wednesday in Nature. Cells in this region had been observed going quiet after an animal had water, but it was not clear exactly why. A graduate student in Dr. Oka’s laboratory, Vineet Augustine, did a series of experiments with mice that had been genetically modified to make tracing the connections between their neurons easier. In these experiments, when a neuron caused another neuron to turn off, it got tagged, leaving a trail of bread crumbs through the brain.